Thanks to everyone who stopped by the pickle tent at Red Bud over the national weekend and to the whole Red Bud crew for putting on such a class event! Trying to gift like a pro this holiday season? Give some MANDINGO Pickles and new swag available on the Products page. Gift those special someones a taste of the good life from Owosso, MI. Check out the new Impact T and the Strangelove T. Also the classic Gino Pack. 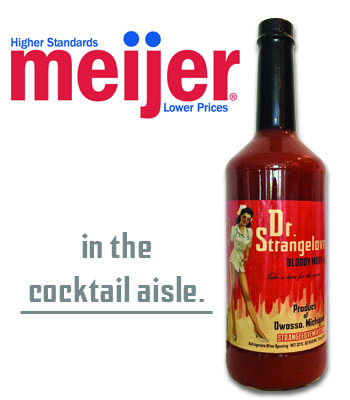 Just in time for summer Dr. Strangelove Bloody Mary Mix is available at all Michigan Meijer locations in the cocktail aisle. Dr. Strangelove Bloody Mary Mix is made with MANDINGO Pickle brine for a taste that will make you take a turn for the nurse. Try a bottle today! What makes MANDINGO Pickles so good? People will love you like you’re the rich uncle at Christmas when you hand them The Gino Gift Pack. Just choose the shirt size to go with 2 jars each of Garlic Dill and Hot pickles, 1 can koozie and a few MANDINGOpickles.com stickers. We pay the shipping you receive the love. Lake Elsinore MX will host the 2012 Transworld Slam Saturday Oct. 13th and MANDINGO Pickles will be on hand serving up the Pickle You Ask For By Name. Ride dirt bikes, get some pickles and watch a no holds barred Slam session amongst the sports top riders at Lake Elsinore MX. Gates open 8:00A.M. Red Bud 2012 was a great weekend for the MANDINGO Pickles crew. Thanks to the Red Bud staff and all the people who stopped by the tent. O.G. Frontman Nick Wey put in a strong ride in the tough conditions with 811 on his jersey sleeves. Copyright 2010 mandingopickles.com. Powered by WordPress. Designed by All Rights Reserved.